Statistics Canada has released September, 2013 figures for the New Housing Price Index (NHPI), and it shows a national flatline in new home prices in September over August, following a 0.1% increase in August. Annually, prices rose nationally 1.6% since last September. The NHPI tracks new home prices across key market regions across the nation, with the intent to show prices before HST on the same detailed specifications over consecutive periods. The metropolitan areas of Toronto and Oshawa are combined for this report, as are others as noted in the table. According to StatsCan, the combined metropolitan area of Toronto and Oshawa was one of the main contributor to the annual increase, posting an annual gain of 1.7%, and Calgary was at +6.3%. Not all markets showed gains, however, with Vancouver (-1.2%) and Ottawa-Gatineau (-0.3%) actually posting declines. What does this mean for the local real estate market? With the price of new construction homes rising, the resale housing market typically follows, as has been the case with sales figures from the Toronto Real Estate Board (TREB), especially in the Durham Region. 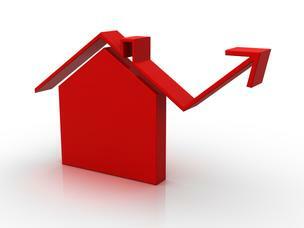 Local resale properties are showing consistent year-over-year gains with each monthly update from TREB. Provided that other factors continue to provide buying motivation to the public, including continued low mortgage financing rates, the market should continue it's demonstrated strength. If you are interested in how the market has impacted the value of your property, please contact me for a confidential, no-cost market evaluation.